The American Red Cross is partnering with the Philadelphia Fire Department to eliminate fire-related deaths in the city. The program involves installing working smoke alarms in high-risk neighborhoods in addition to educating people about the dangers of home fires. The program kicks off with free smoke alarm installation on Tuesday, July 7th between noon and 3 p.m. along the 5800, 5900 and 6000 blocks of Osage Avenue. A recent study identified senior citizens and young children as the most vulnerable to fire-related deaths in the city. That’s a population of about 200,000 people in Philadelphia. The No More Fire Deaths program involves several steps and kicks off on 7/7. Firefighters from the 7 Engine and Ladder companies that make up the 7th Battalion, along with the Red Cross, will go door-to-door and install 10-year lithium battery powered smoke alarms free of charge. Together with the Red Cross they will also provide fire prevention education as well as a home inspection checklist that residents can go through to make sure their home is fire safe. Throughout the coming weeks, firefighters and the Red Cross will continue to spread an information campaign reminding residents to call if they need working smoke alarms. 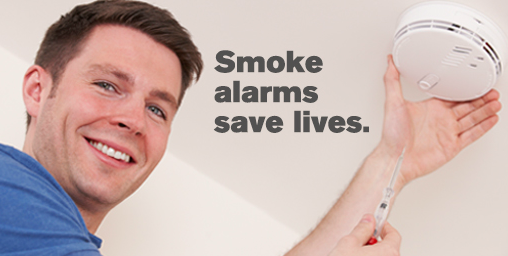 * If someone doesn’t have smoke alarms, call 3-1-1 and we’ll help you get one. At a minimum, there should be one smoke alarm on every level of the home. * If someone does have alarms, test them today. If they don’t work, get them replaced. * Make sure that everyone in the family knows how to get out of every room and how to get out of the home in less than two minutes. To request a smoke alarm through the No More Fire Deaths program, call 3-1-1 or visit www.freedomfromfire.com.